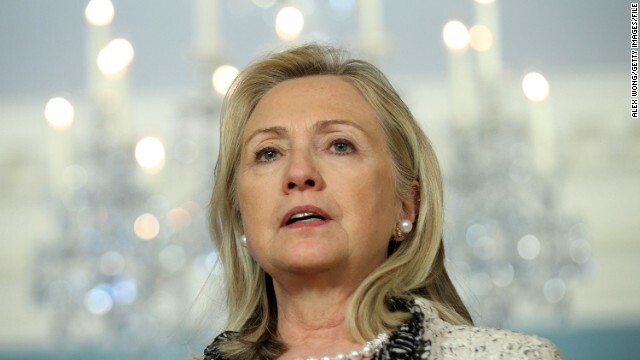 (CNN) - Former Secretary of State Hillary Clinton said Tuesday her prayers are with Trayvon Martin's family and "every family who loves someone who is lost to violence." - CNN's Ashley Killough and Steve Brusk contributed to this report. Well America, just start and ban all the weapons out of your city's and you will make a great start! Reverse racism being supported by Hillary.........who refuses to face the truth..........Martin was the attacker, and it got him killed. Dude, if GZ could have proved that TM attacked him, then he could have walked free after a SYG hearing. But, he couldn't prove that he was attacked, and thus the 2nd degree murder charge. Maybe SYG laws need to be changed, such that if you fail to win a SYG hearing then you stand convicted to the equivalent of 2nd degree murder. Or at the very least stand trial for it, with the jury aware that you lost a SYG hearing and why. Some peoples comments on here make no sense – she didn't use the case to score any political points! How has she done that? Once again the irrational right wingers come out spewing lies and opinions dressed up as facts. IT'S PATHETIC!!! I think she was increadibly fair and balanced in her statement, unlike the current POTUS. Hilary, you got my vote 2016. "Dude, if GZ could have proved that TM attacked him, then he could have walked free after a SYG hearing. But, he couldn't prove that he was attacked, and thus the 2nd degree murder charge. Maybe SYG laws need to be changed, such that if you fail to win a SYG hearing then you stand convicted to the equivalent of 2nd degree murder. Or at the very least stand trial for it, with the jury aware that you lost a SYG hearing and why." Despite all the hysterical rhetoric, this was not a Stand Your Ground case. Holder only brought up Stand Your Ground because he has no chance whatsoever of filing a federal case against Zimmerman. The attendees at the NAACP convention have not yet figured that out.